With the addition of two adapters to bring the two micro connectors up to full size, which the Raspberry Pi needs, I was off and running. With that complete, the Lapdock becomes pretty useful. You can use it not just for the Raspberry Pi, but as a keyboard and display unit for any computer, provided you have a couple adapters. The next hurdle is getting the Lapdock to turn on and off when you want it to. It’s pretty picky about how it works. The first thing to know is that once the screen turns on, you have to allow it time before it will turn on again. For instance, if you power it up and the screen turns on and then back off, it won’t turn on again until you’ve waited a couple of minutes. Just be patient. I have a little system that works for me to reliably power it on but it’s a bit more complex than would be ideal. Firstly, I power on the Pi via external power. That is to say, I use a USB port or wall adapter to power on the Pi. Once the Pi is on and I can see disk activity, I then plug in the HDMI cable for the lapdock and the USB cable. Every time I power it up this way, it works. If I power on the Pi via the USB port on the Lapdock, the screen never shows anything and it just turns back off. The good news is though, once the Lapdock is showing the Pi on it’s screen you can disconnect the Micro-USB power cable. The Pi will continue to get power via the USB cable from the lapdock, even though it’s not plugged into the ‘power’ USB jack. Step 0: Unplug everything from the Lapdock, including the power adapter and wait for at least a minute. Step 1: Power on the Pi using a micro-USB cable into another computer or a wall adapter and count to 5. 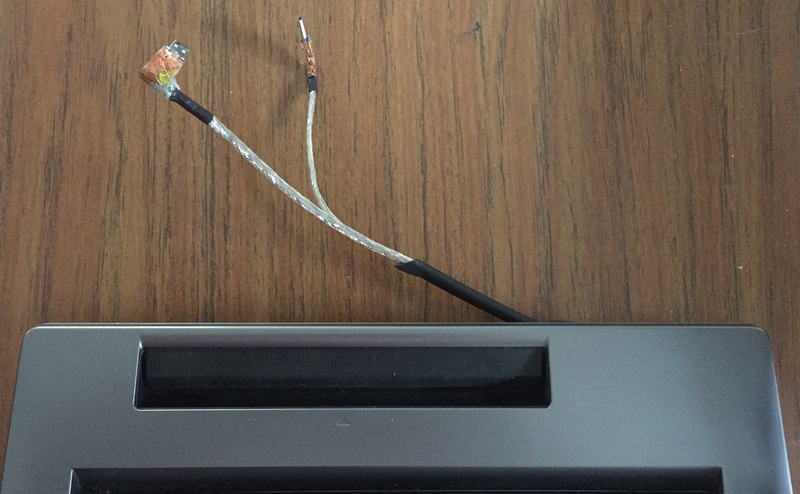 Step 2: Plug in the HDMI cable from the lapdock and the USB cable. You don’t need to rush but you should plug in the USB cable within about 10 seconds of the HDMI cable, or the screen will turn off and you have to wait again. 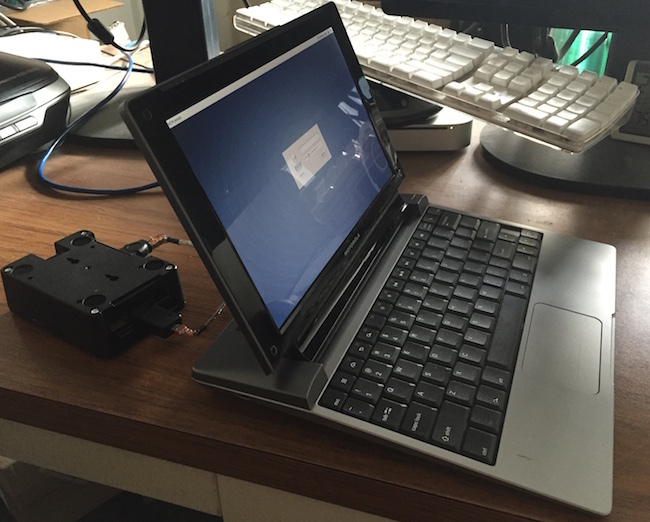 Step 3: Confirm that the Raspberry Pi is displaying on the screen of the lapdock and then disconnect the external power from the Pi. For me, this works every time without issue but there is a little more to it. As you may know, the Rapsberry Pi checks for an HDMI connection when it turns on. If one isn’t detected it will disable the HDMI port. 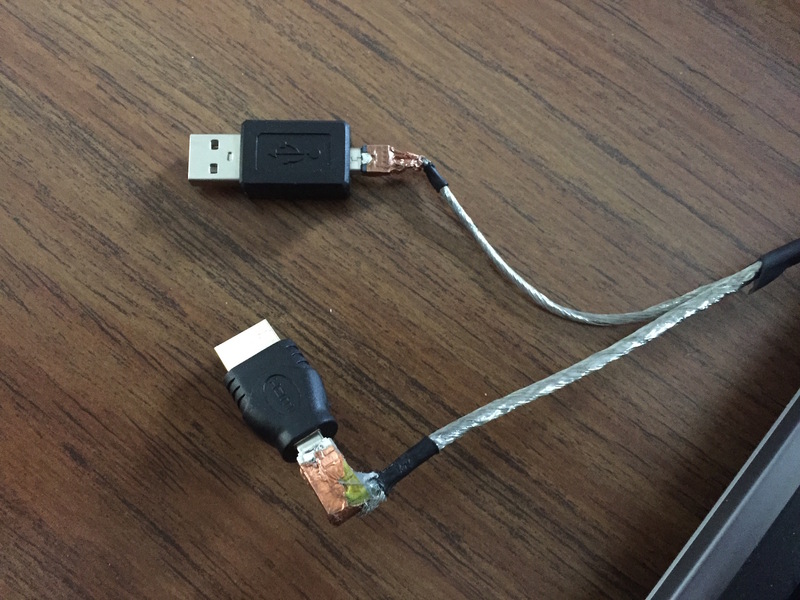 Since we are powering on the Pi without the HDMI connection, we have to force the Pi to use that connection even though nothing is detected. To that end, a file called ‘config.txt’ needs to be edited. When you are setting up your Pi from your Mac or PC, you have to copy an image to an SD or MicroSD card. As a part of that process a couple of partitions are made on the card and files copied into them. Do some Googling if curious, others do a much better explanation than I. #This line forces the Pi to enable the HDMI connection even if nothing is detected. #These lines tell the Pi about the display on the Lapdock so that the display looks as good as it can. #These last two lines are probably optional but I added them when testing. For me, the config.txt file get’s erased from time to time. When I do a big OS update or a firmware update on the Pi the file will have all of my settings removed.. which causes my Lapdock to not work properly. Without those lines the Pi won’t enable the HDMI port on boot and the Lapdock just shows a blank screen for a few seconds and goes off. If that happens, just pop the memory card back into your computer and make sure those lines are present. Put the card back into the Pi and get back to happy computing.